Whether in the living room or the bedroom, this track is a guaranteed party starter. 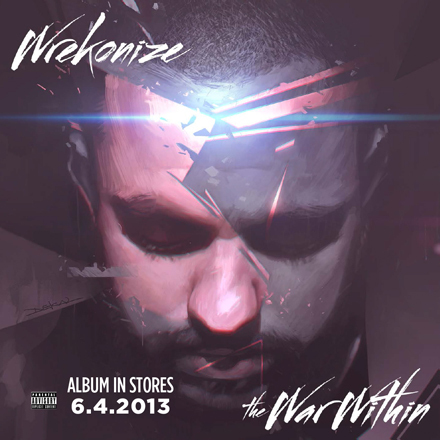 Wrekonize drops his second single from The War Within with the song “Freak” featuring Tech N9ne. Over an amped-up production filled with opera, excitement and intrigue, Wrekonize and Tech N9ne lay down devastating flows about their freaky encounters. This track marks a huge departure from the chilled out “Anxiety Attacks”, providing a huge shot of adrenaline to anyone looking forward to Wrekonize’s Strange Music debut. From the sounds of it, this album is going to have everything. What did you think of the track? Who had your favorite verse?